The city of San Francisco has an unexpected but powerful connection to Japanese baseball. Baseball and both native Japanese and Japanese San Franciscans are linked through the stories of two famous individuals: Lefty O’Doul and Masanori Murakami. While most of San Francisco’s rich and storied history of baseball, from the Seals to the Giants, has been discussed at length, one particular storyline has faded over the years: San Francisco’s impact on the popularization of baseball in Japan and amongst Japanese communities. Two key figures were largely responsible for this popularization. 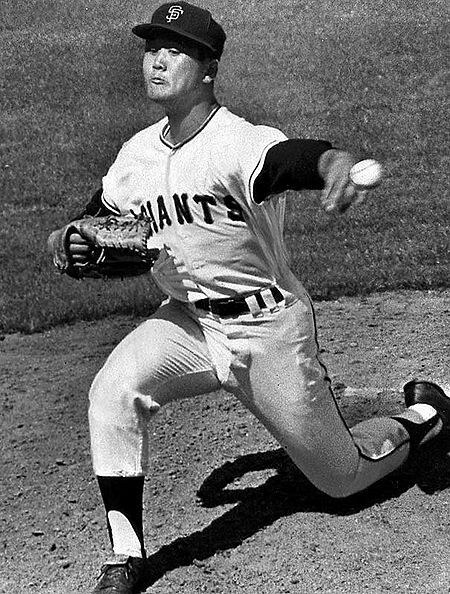 The first, Lefty O'Doul, is a San Franciscan legend. A San Franciscan native, Lefty O’Doul won two National League batting titles, coached the San Francisco Seals from 1935-1951, trained other legends like Joe DiMaggio, established the well-known Lefty O’Doul’s Restaurant on Geary Street, and was eventually elected to the Bay Area Hall of Fame in 1981. He is also known outside of San Francisco for his part in establishing baseball as Japan’s most popular sport. He first travelled to Japan as part of an exhibition tour at the end of his career as a player in 1931. He returned a year later to train Japanese ballplayers at Japan’s most prestigious universities, and led his own exhibition tour 2 years later with stars like Babe Ruth. He is often credited with a large role in the establishment of the Japanese Professional Baseball League and he supervised the construction of Japan’s famed Korakeun Stadium in Tokyo. Due to World War II, O’Doul did not return to Japan until 1949, at which point he served as a goodwill ambassador to help restore U.S.-Japanese relations. His exhibition tour with the San Francisco Seals was greeted personally by Emperor Hirohito and attended by over 500,000 Japanese fans. He continued visiting Japan until 1961 and even began to attempt to recruit players for the PCL League. His impact in Japan was recognized in 2002 with enshrinement in their baseball Hall of Fame, as one of only three Americans to receive that honor. Given O’Doul’s impact on Japanese baseball, it is likely no coincidence that the first Japanese player in the Major Leagues played for the San Francisco Giants. Not only had O’Doul created strong ties between the city and Japan, but he had promoted the Giants’ brand in Japan. Japan’s most famous and successful team, the Yomiuri Giants, was named in tribute to O’Doul’s last MLB team, the New York (later San Francisco) Giants; their logo was a direct copy. Building off of O’Doul’s groundwork, Giants’ owner Horace Stoneham worked with Japanese-American scout and California native Tsuneo Harada to bring three extra players from the Nankai Hawks to the Giants’ spring training for seasoning. One player, Masanori Murakami, excelled in both spring training and his subsequent assignment to Fresno, and was rewarded with a promotion to the majors in late August. He debuted in New York’s Shea Stadium, pitching a scoreless inning and receiving a loud ovation from 40,000 opposing fans. 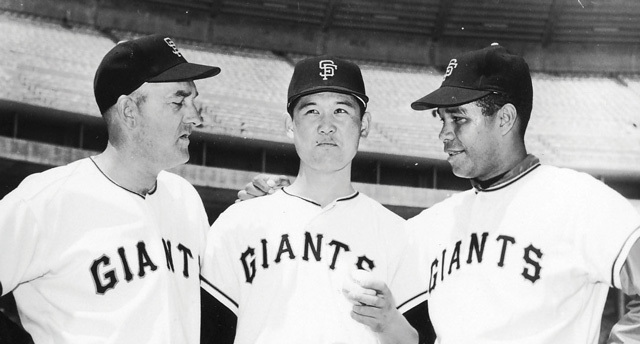 Legendary Giants Tom Haller (left) and Juan Marichal (right) surround Mashi, as Masanori Murakami was affectionately known. It is critical to remember the context of the relationship between Japanese Americans and San Francisco in this time period. Just twenty years earlier, President Roosevelt signed Executive Order 9066, thereby removing Japanese Americans from their San Franciscan homes and placing them into internment camps as a security measure. While Tsuneo Harada lost a chance at a professional career with the St. Louis Cardinals and served as a member of the U.S. military intelligence service, other Japanese Americans faced a far more serious bevy of problems as a result. Property owners retained their homes upon return after the war, but renters were often unable to return to their apartments. Both groups struggled to find stable jobs. Although the Citizens Against Nihonmachi Eviction group and the Western Addition Community Organization group were not formed until 1973 and 1967 respectively to combat corporate interests in the eviction of Japanese Americans to repurpose their valuable land, Japanese San Franciscans were already feeling the housing pressure in the Western Addition. In fact, over 1500 residents and 60 small Japanese-American businesses had been relocated as part of an urban renewal project begun in 1948 to remove “blighted” areas. Masanori Murakami in the bullpen. Horace Stoneham pursued Japanese players intentionally out of both financial motives and a desire to generate positive press coverage in San Francisco and other nearby towns with large Japanese-American populations like Fresno. Japanese Americans were certainly receptive to this attempt, as they needed as many heroes and rallying points as possible as they recovered from discrimination. Considering the Immigration Act of 1965 would soon be passed and many more Japanese would soon join their familial counterparts in San Francisco, Masanori Murakami could have provided a perfect long-term union of these two causes. Unfortunately, that role proved to be an awful lot of pressure and expectation to place on a twenty year old far from home. It is easy to get caught up in the larger historical context of events and forget that the players are individual agents with human desires and concerns. 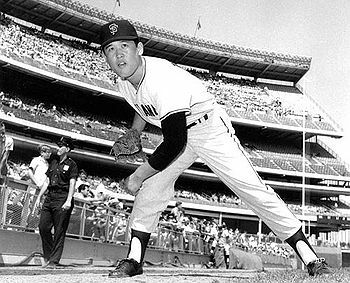 Murakami signed with the Giants for the 1965 season, but soon realized he wanted to return to his native land. An only child, Murakami felt that it was his responsibility to return to his family and get married. Further, the Nankai Hawks, noticing his success in the majors and realizing they had underestimated his pitching prowess, claimed that he was still under contract with them. This contractual conflict enraged American baseball officials who called foul play. It tore a rift between Japanese-American baseball relations until MLB Commissioner Frick and Japanese Commissioner Uchimura came to an agreement that Murakami would honor his contract with the Giants in 1965 before returning home to Japan afterwards. For his part, Murakami again pitched exceedingly well and was even honored with a Masanori Murakami Day in August with a pregame ceremony in front of 27,000 fans and a post-game banquet, a rare honor for a relief pitcher. Unfortunately, many believe that the rift caused by Murakami’s contractual disagreement was not fully healed and had long-lasting detrimental effects. His biographer Rob Fitts claims, “The dispute over Murakami’s contract would ignite an international incident that ultimately prevented other Japanese from joining the Majors for 30 years.”(1) Still, the impact of Murakami’s debut should not be understated. He is often remembered as the “Japanese Jackie Robinson,” and became a hero to both Japanese San Franciscans and native Japanese, substantially increasing the renown of the city of San Francisco among the latter group.